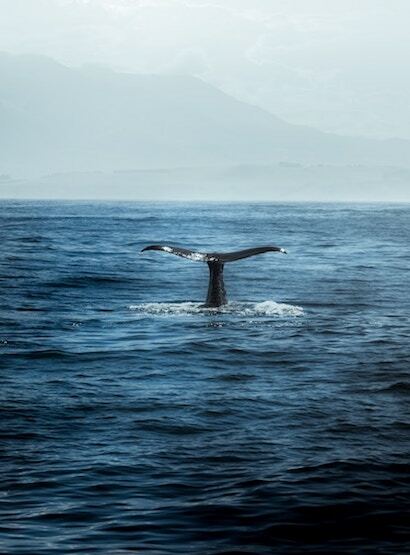 Little more than an hours drive from Cape Town, Situated between the mountains and the sea, the quaint Town of Hermanus has been rated by the World Wildlife Fund (WWF) as one of the best whale watching locations in the world, and it is often regarded as the heart of the whale route. This story-book fishing village along the southern coast is, arguably, one of the Western Cape’s most breathtaking destinations and is complemented by a range of fine restaurants, art galleries, boutiques and much more. Walker bay and the Southern African Coastline plays host to one of the largest migrations of Humpbacked and Southern Right whales on earth with Hermanus situated on low cliffs providing you with the perfect vantage for land based whale watching. If this isn’t quite close enough you can go on a boat based whale watching trip and experience the giants of the deep at close quarters.